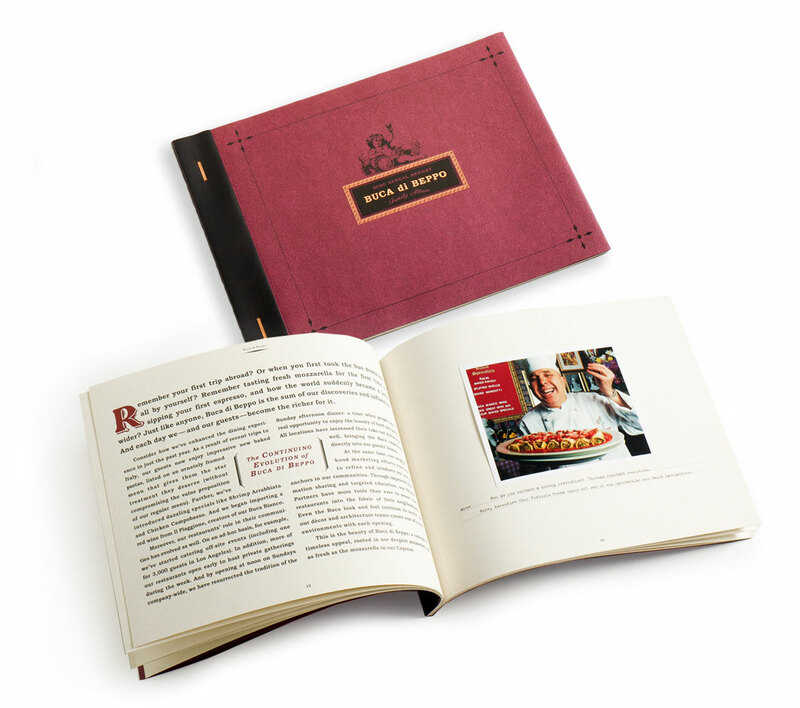 An homage to – and send-up of – red sauce Italian joints, Buca di Beppo was a home run from day one, growing from a small basement location in 1993 to a publicly held national chain within several years. We created Buca’s brand identity and also developed its corporate face. Little known fact: The concept began as Buca Little Italy. The need for a national trademark prompted a name change to Buca di Beppo after the fourth location was built. Some of our best-received work for Buca featured painstakingly created photo collages by the Phoenix-based artist, Paul Wilson. These posters were also reproduced as postcards. Both of these postcards (also versioned as ads and billboards) were featured in Tonight Show segments that made fun of inept advertising. In the case of Buca, of course, the ineptitude was intentional. 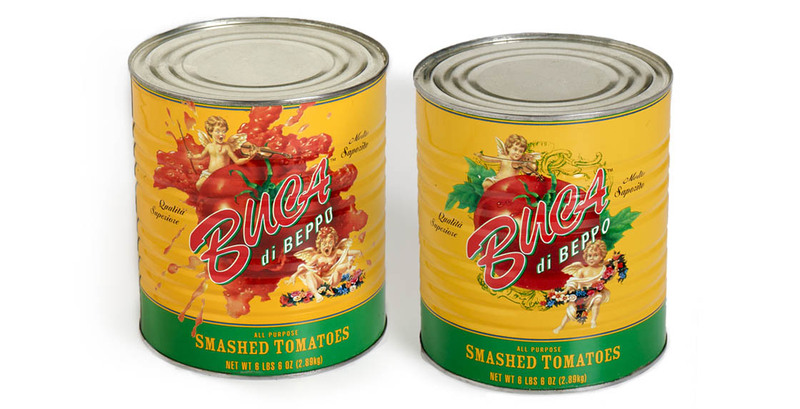 Buca’s purchasing volume eventually allowed for the creation of custom-labeled tomato cans. 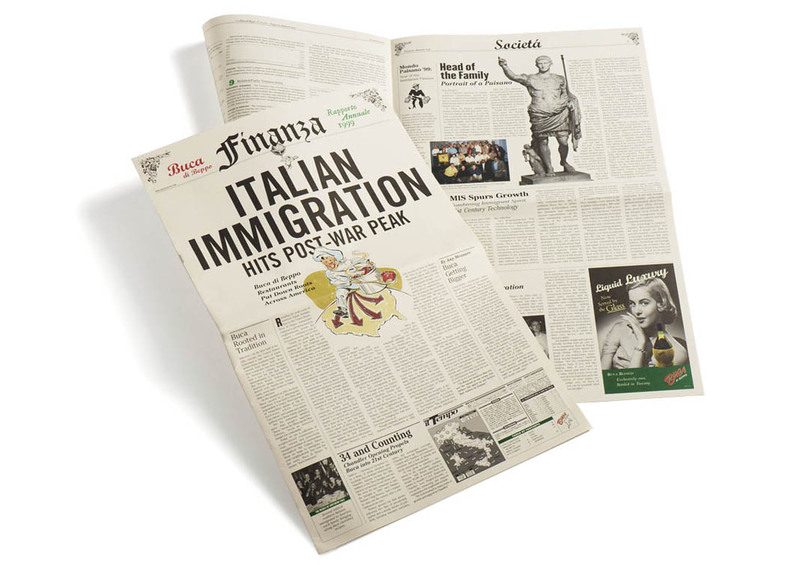 The newspaper format of Buca’s first annual report provided an ideal vehicle to communicate financials while providing a broader introduction to the brand. 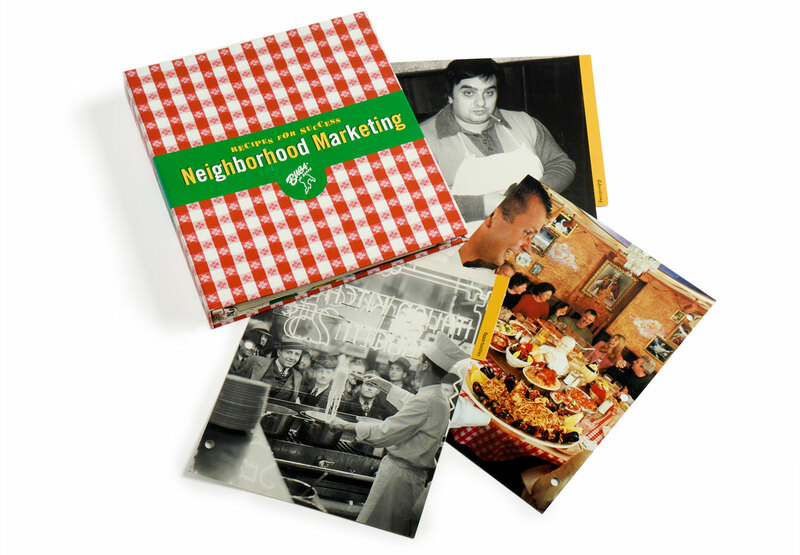 Another annual report, this one evoking a family album, used tipped-on photos to illustrate various discussion areas. 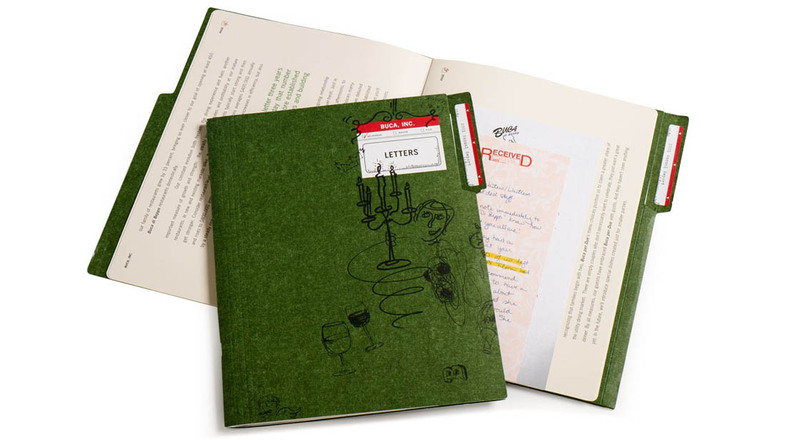 A Communications Arts magazine award-winner, this annual report evoked a letter file folder, and used reprints of actual, unsolicited letters from satisfied customers to cue up discussion topics. 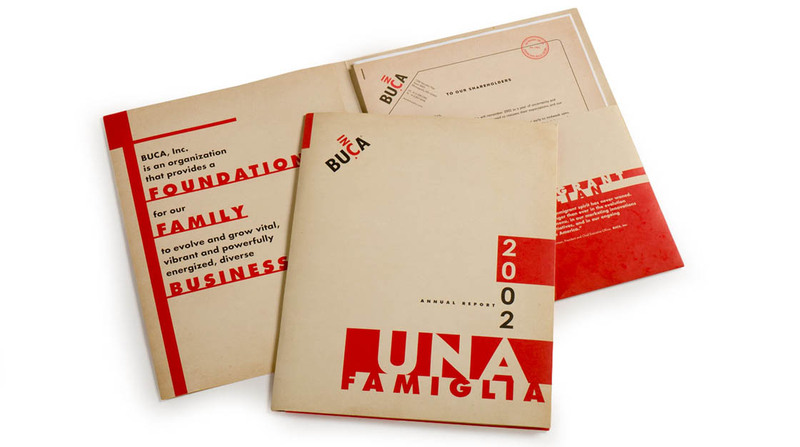 Buca’s first annual report following the introduction of its new corporate logo, this piece takes more business-facing approach instead of referencing the Buca di Beppo brand.